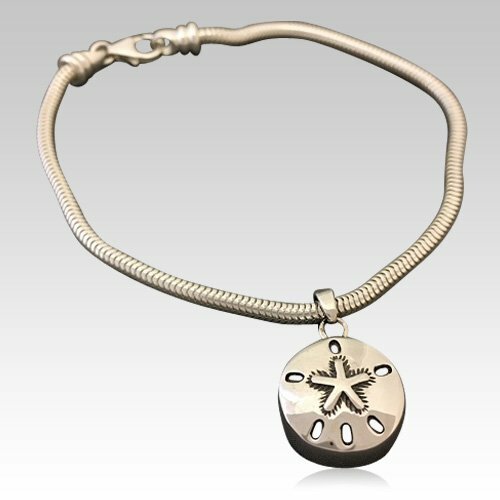 The Sand Dollar Cremation Bracelet is sterling silver and is crafted by an artistic skilled jeweler one at a time. The quality is excellent and the craftsmanship is outstanding. 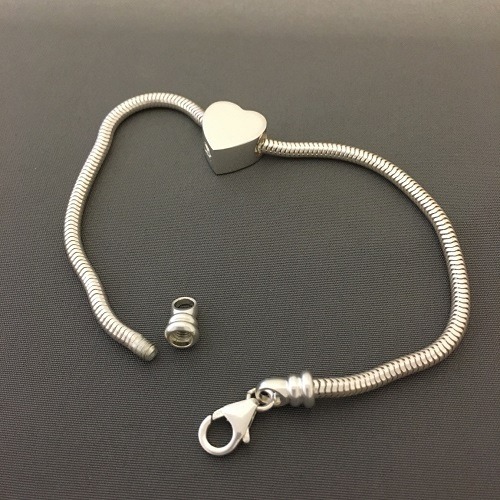 The charm holds a small amount of remains, a piece of hair or something that is small enough to memorialize your loved one and bring them close to your heart.